Excellent location, Breakfast basket in the room was a lovely touch. Within three minutes from York's wall and five from the Cathedral. Very comfortable room for five of us, plenty of breakfast (in the room). The receptionist was very helpful even though I haven't seen him (because of my time of arrival and departure). Excellent staff even moved the Wi-Fi closer for my 2 boys, really comfy room and beds good size. Breakfast baskets were great. Excellent service all round. 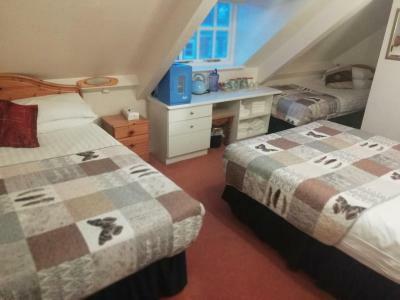 The room was clean and spacious, excellent spot and only minutes away from York centre. The Lady at the check-in was super nice and friendly, my bed was really comfortable, breakfast was arranged in my room before arrival (I hate to eat in front of other people) and the hotel is located in the city center, just 5 minutes from the Minster and other sights. The location was good - a short walk to the centre of York and the Minster. The staff were great - we were given a room that slept five, even though there were only three of us. The chap on reception, moved his car and gave us his parking permit for our car. Room was ok and quiet bed Cumfy staff were good.hotel was 400 metres from the city wall. No parking at the hotel but there is a pub 2 doors off you can park there 5 pounds a night. It was in a good location, within walking distance to the centre and the main attractions. Can’t fault anything about it, location was brilliant and the owners were very nice. One of our bestsellers in York! 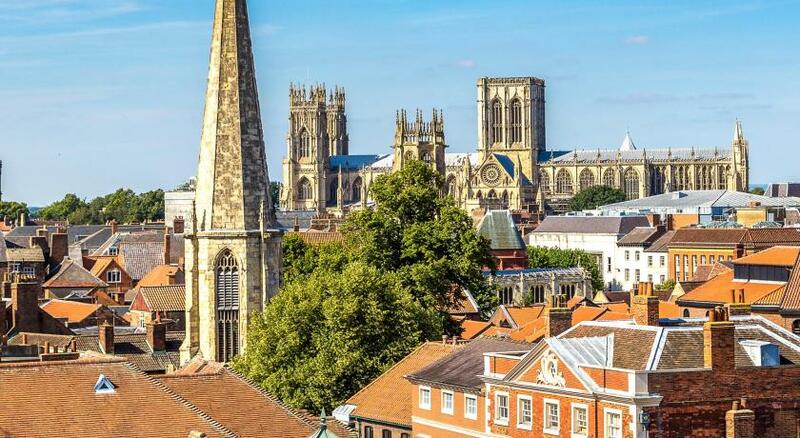 Boasting a shared lounge, The Diamonds Inn offers family-run accommodation in York, just 450 yards from York Minster. 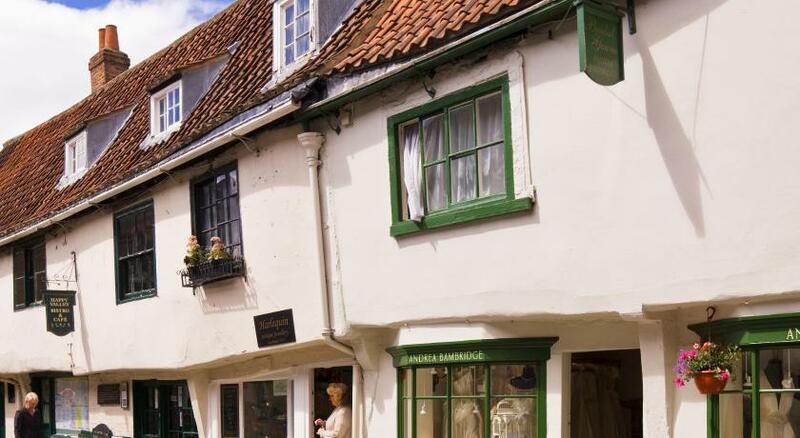 Located around 750 yards from Bettys Cafe Tea Rooms, the guest house with free WiFi is 900 yards outside York City Walls. Parking can be arranged on arrival. 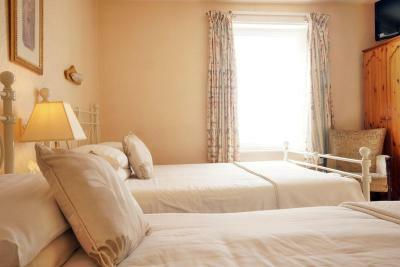 At the guest house, every room is fitted with a flat-screen TV, tea/coffee making facilities and free toiletries. A breakfast hamper will be provided in the room. 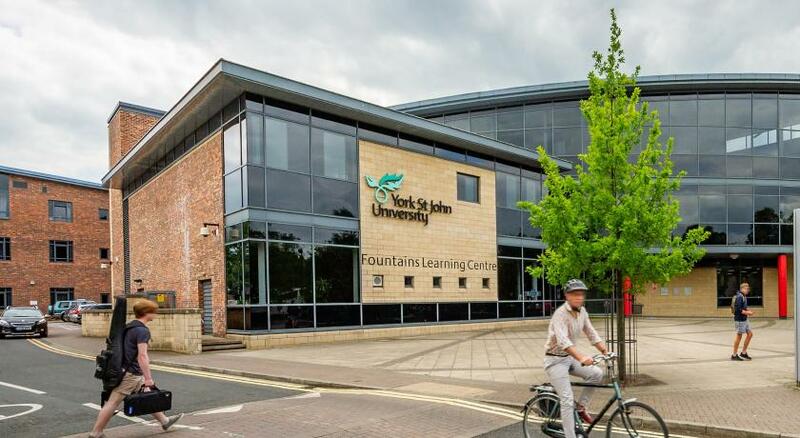 York railway station is a 20-minute walk from the accommodation, while York Barbican is a 14-minute walk away. The property is 1,000 yards from Grand Opera House and 0.6 miles from Cliffords Tower.The nearest airport is Leeds Bradford International Airport, 24.9 miles from The Diamonds Inn. Diamonds Inn has been welcoming Booking.com guests since 5 Feb 2016. When would you like to stay at Diamonds Inn? 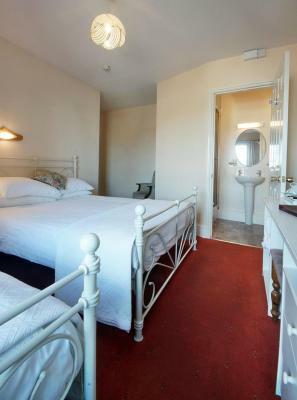 This single room has a washbasin in the room and there are 2 shared bathrooms nearby. A bathrobe, flat-screen TV and tea and coffee making facilities with biscuits are provided. The room also features towels, toiletries and a hairdryer. Public parking is possible at a location nearby (reservation is not possible) and costs GBP 7 per day. 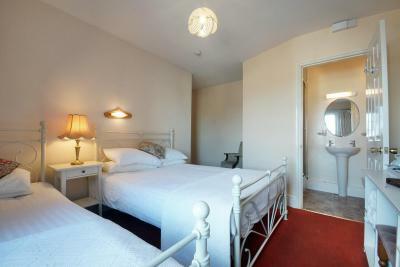 This double room has a washbasin in the room and there are 2 shared bathrooms nearby. Bathrobes, a flat-screen TV and tea and coffee making facilities with biscuits are provided. The room also features towels, toiletries and a hairdryer. This family room has 2 double beds and 1 single bed with en suite bathroom with a bath and overhead shower. A flat-screen TV and tea and coffee making facilities with biscuits are provided. The room also features towels, toiletries and a hairdryer. 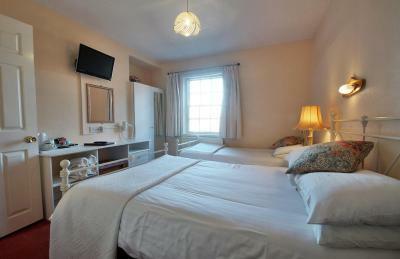 This en suite double room features a flat-screen TV and tea and coffee making facilities with biscuits. Towels, toiletries and a hairdryer are also provided. This family room has 1 double bed and 1 single bed with en suite bathroom. A flat-screen TV and tea and coffee making facilities with biscuits are provided. The room also features towels, toiletries and a hairdryer. This double room has a DVD player and electric kettle. 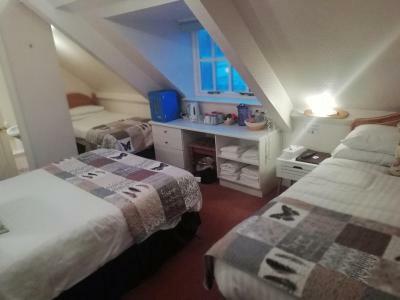 This triple room features a DVD player and electric kettle. This triple room has a electric kettle and DVD player. This family room features a DVD player and electric kettle. This family room has a DVD player and electric kettle. 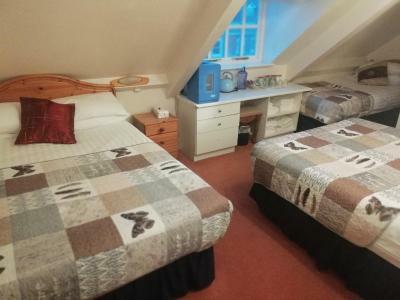 This double room features a DVD player and electric kettle. House rules Diamonds Inn takes special requests - add in the next step! Diamonds Inn accepts these cards and reserves the right to temporarily hold an amount prior to arrival. Please note the property has a strict 'No alcohol' and 'No Smoking' policy. Any break of this policies or damage in the property will result in a surcharge of minimum GBP 75. Please note that during check-in hours, the property may allow guest to do a self check-in procedure. Due to the property's limited reception hours, guests are required to contact the property prior to their arrival. Expected some kind of continental breakfast. WiFi very poor. Room needs updating. Location to the city. Room clean, adequate. Extremely overpriced for a very basic room and facilities. The bathroom was shared and located on the hall landings. Very noisy traffic and the staff did not inform us of entry/exits very well. We understand that Easter is a premium time and it's location is close to the centre - nevertheless we feel we paid around double it's value. The b&b is looking very tired, could do with a lick of paint and modernising a little even though it was very clean. The furniture was a bit broken, my window wouldn't close properly so cold air came in throughout the night. The shelf in the bathroom was glued to the wall with some tape and the shower wouldn't provide hot water for some reason. Wasn't particularly impressed with the breakfast - I could pay the same breakfast price at a Premier Inn and get a cooked breakfast for all three of us - but I do understand the limitations of what they can offer without a formal breakfast room/kitchen etc. The attic room was great, but the climb up the flights of stairs was a challenge. Noisy neighbours on the first night but that was not the fault of the hotel. Very freindly staff. Fantastic location.